WHAT IS THE MOVING KINGS REFERRAL PROGRAM? 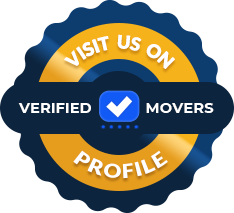 The average American will need to move at least once every seven years, but if it’s your first time, we understand that the process of finding a reputable moving company can be overwhelming. A majority of our customers were referred to us by a friend or family member who used Moving Kings and were thrilled with our service. Moving Kings is family owned and operated, and we feel our customers become part of our Royal Family from their very first call. We want to thank you for recommending our services. If you refer a family or friend to Moving Kings, we will send you a $100 Visa Gift Card once their move is complete as a token of our appreciation. Reputation is everything in the moving industry, and we want to show how grateful we are to those of you who have used our service and are willing to share your positive experience with your friends and family. To qualify for your $100 Visa Gift Card, please send an email to info@movingkings.com with the name and reference number of the party referred to us. Please also include your physical address so we can send the gift card after their move is complete. If your friends or family members are ready to move, have them give us a call for a free estimate!